Olive oil infused with chilli. Do not refrigerate., Store away from sources of light and heat in a cool, dark place. 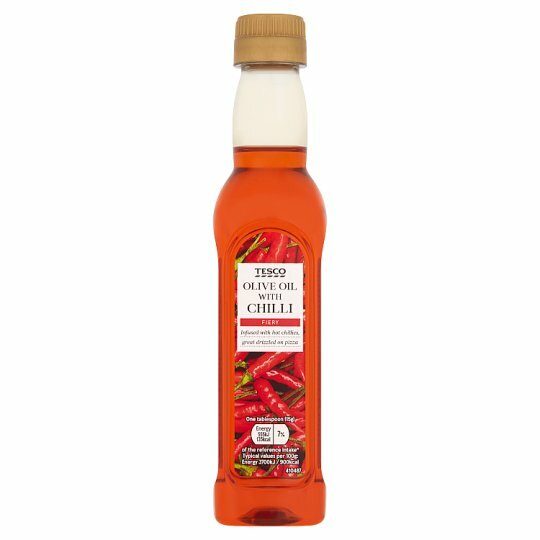 This product may become cloudy at temperatures below 7oC (45oF).This is perfectly normal and the oil will clear on gentle warming.Caution: Do not pour hot oil back into the bottle..